Sylwester 2013 w Londynie :) Pokaz sztucznych ogni. Jan 14, 2013 · Firework display filmed from Victoria Embankment. HD Sylwester 2013 w Londynie :) Pokaz sztucznych ogni. Camera: Panasonic HDC-SD90. 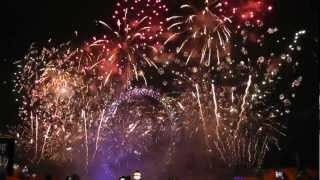 New Year Eve London's 2013 from Victoria Embankment (not from BBC:) Added: ... New Year's Eve Fireworks - BBC One. January 1, 2015 (7 days 17 hours ago) HD. Author: BBC. New Year Eve London's 2013 from Victoria Embankment (not from BBC:) New Year Eve London's 2013 from Victoria Embankment (not from BBC:) 15:17.